This is a Superb English, George IV period, carved Mahogany games table attributed to the famed Gillow's of Lancaster workshop and was made Circa 1820. 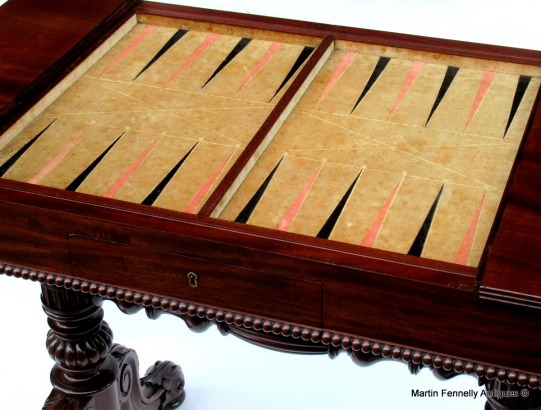 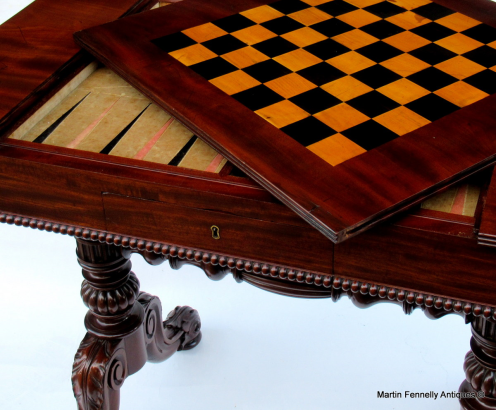 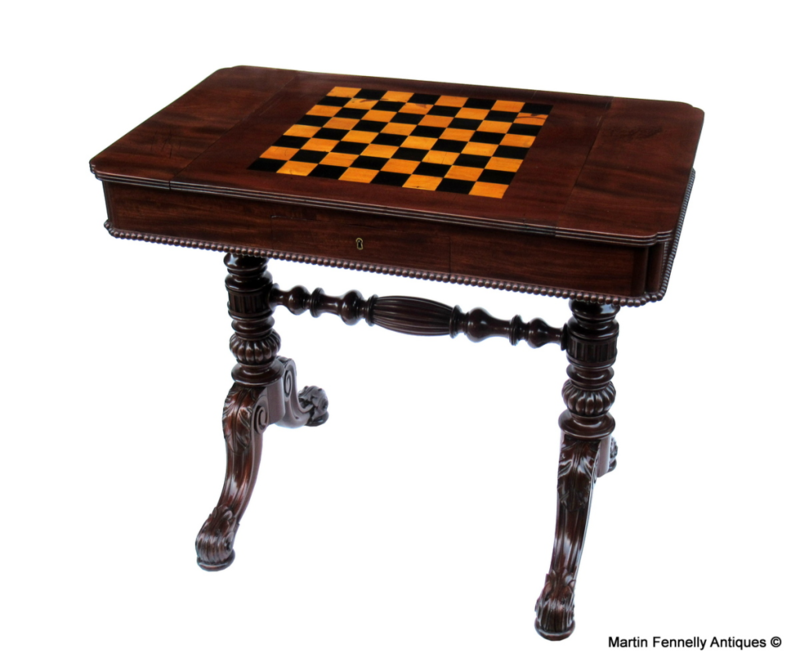 The table is a masterpiece of construction with inset removable and reversable game board which when removed reveals a backgammon playing surface. The rectangular shaped top is over a a shallow frieze with central drawer and Candlestick slides at each end (see images). 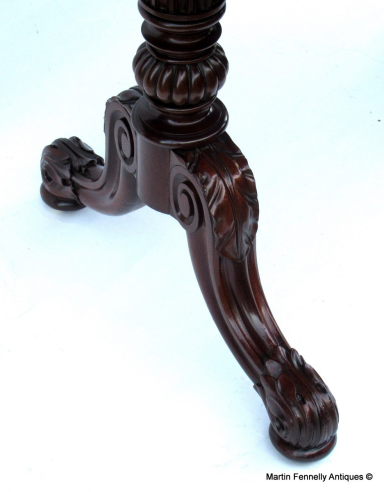 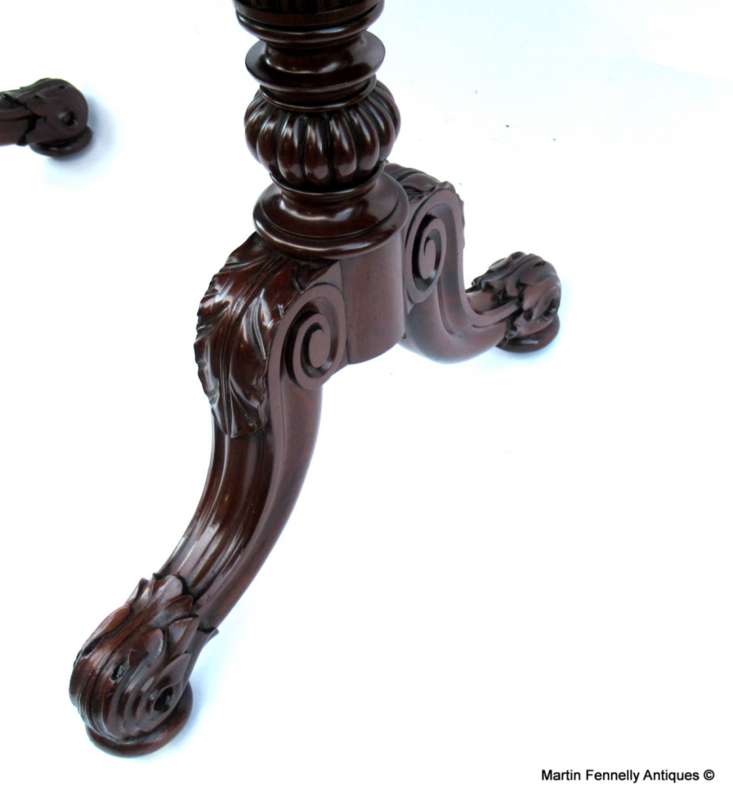 Supported by Classically carved mahogany twin columns with turned stretcher all raised on acanthus carved downswept legs ending in paw feet with concealed casters. 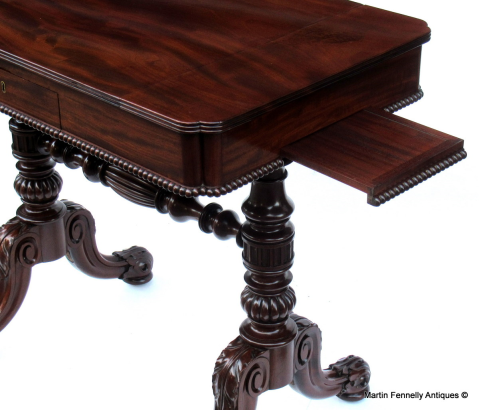 This table was probably a special commission for a client of noble distinction and the provenance is excellent. 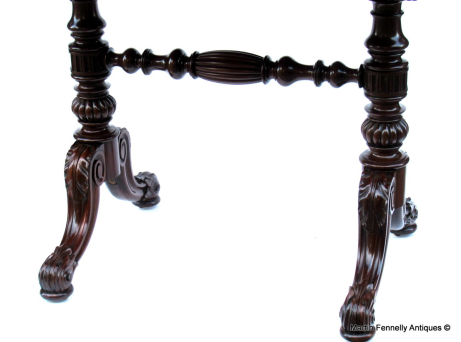 Related examples are noted in "Gillows of Lancaster and London" by Susan E. Stuart. The Table was polished by our Master Restorers (Lancaster Antiques) and they commented on the superior quality Mahogany which is used throughout the piece and the attention to detail on all aspects of the Table. 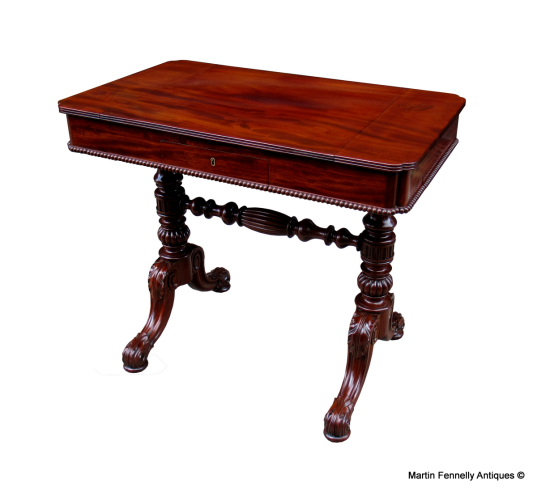 Pieces by Gillows are very sought after and i was fortunate to locate this one in the UK.